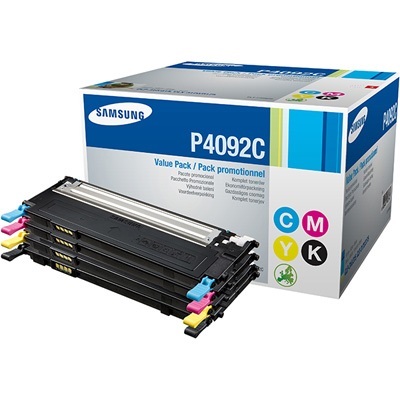 Genuine OEM Samsung Toner Cartridge Bundle Pack, 1,500 (Black), 1,000 (Color) page yield. Bundle pack includes: one Black (CLT-K409), one Cyan (CLT-C409), one Magenta (CLT-M409), one Yellow (CLT-Y409) toner cartridge. Samsung part number: CLT-P409C, SU397A. Color Laser Toner Cartridge compatible with Samsung CLP-310, CLP-315, CLX-3170, CLX-3175FW.